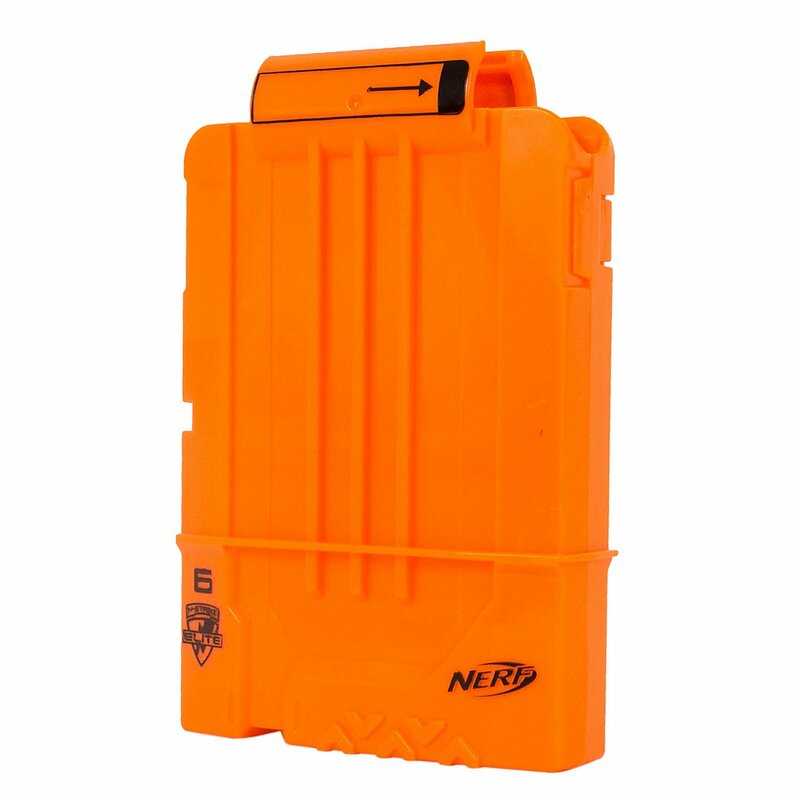 A compact spare magazine with six darts. 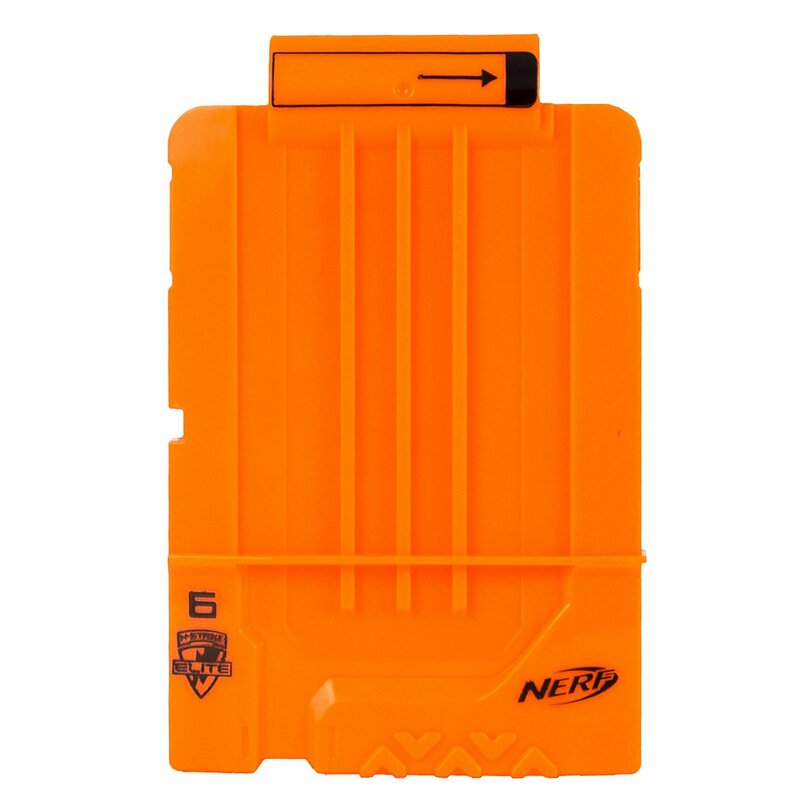 The Nerf Modulus 6 Dart Clip is a practical accessory from the Modulus series, but also fits into all other magazine blasters. 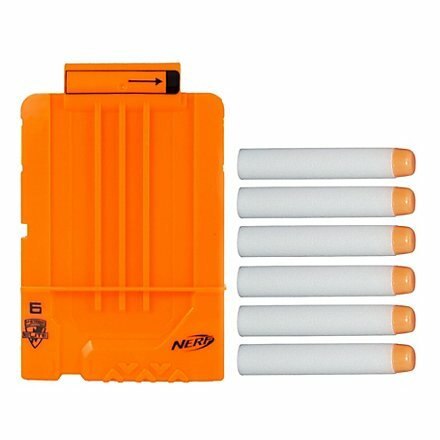 If you use blasters with magazines, you should always have enough loaded spare magazines available because to reload a magazine in the middle of the battle takes too long, is ineffective and little fun. 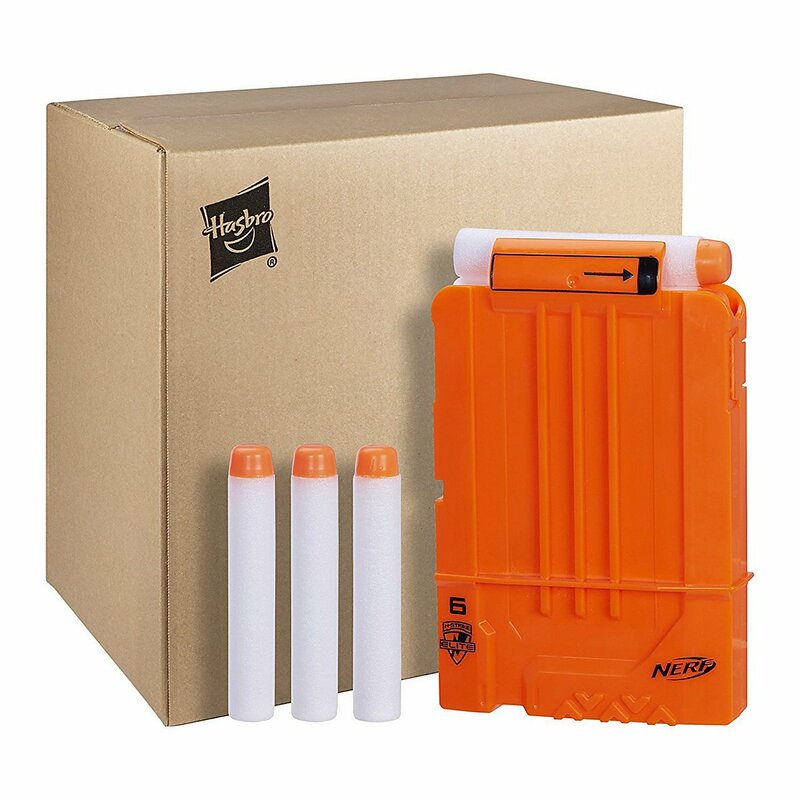 This magazine offers room for six darts and has the advantage that it can be easily accommodated in the equipment. In addition, six white-orange modulus darts are included in the sustainable packaging.